The Onsmo Heavy Duty Parallelogram Boom Stand (with Power Pack Platform) is one of the top quality boom stand on the market. It has a super sturdy, all metal construction, and it is very easy to use. Simply tilt your flash head to the angle you require and then all you need to do is adjust the height of the boom to the height required. Due to this boom-stands parallelogram-shaped pantograph design, the angle of your light will not change, even if you change the angle or height of your boom arm. This feature allows you to make height adjustments to your lights, without messing up the angle of the light. The stand comes with a set of counter-weights which can be used to counter-balance the weight of the lights at the other end of the boom, making angle and height adjustments smoother and easier. 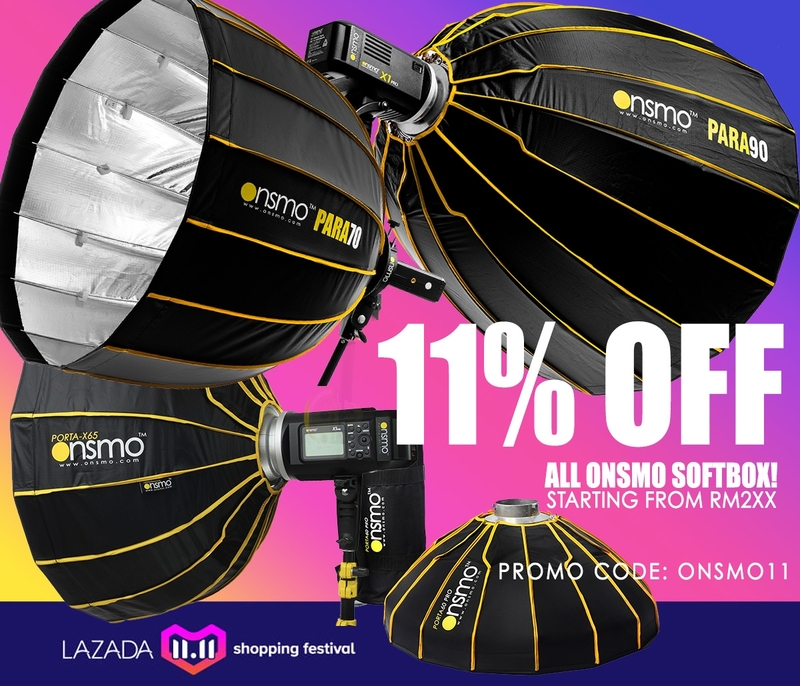 The Onsmo Heavy Duty Parallelogram Boom Stand has a maximum load capacity of 10kg, which is suitable for use with practically any studio strobe and modifier combination including large softboxes and beauty dishes etc. The Onsmo Heavy Duty Parallelogram Boom Stand features a set of caster wheels which will enable you to easily move your lights around the studio, and also features a platform for you to place any Strobe-Packs or Battery packs which reduces the amount of cables that you will have trailing across the floor. This stand is perfect for the photographer who requires a strong-sturdy stand for their studio.